Great for spicy chile dips, veggie dips, or for just taste-testing hot sauces, these are our go to chips when we just want a plain dipping chip for sauces etc. Next, lightly spray or coat a non-stick pan with oil (Pam works great here), get the pan medium to medium hot, and add the chips in a single layer. I like to spray the chips once with the Pam, then sprinkle some Kosher or Sea Salt onto them. Toast them gently, turning when they begin to brown. The longer/browner you make them, of course the crispier they get. Personally, I like them just warmed, and soft. Inevitably some will still come out crispier than others. After you’ve turned them over to get the other side done, slide them out of the pan onto a plate or bowl, and repeat until you have the amount you want. Since these small loaves shown only yield about 12 chips per loaf, you may have to do quite a few batches to feed a small group. In that case, be sure not to over-toast them. They only last about 20-30 minutes after toasting, before they get too hard ( for me, anyway). 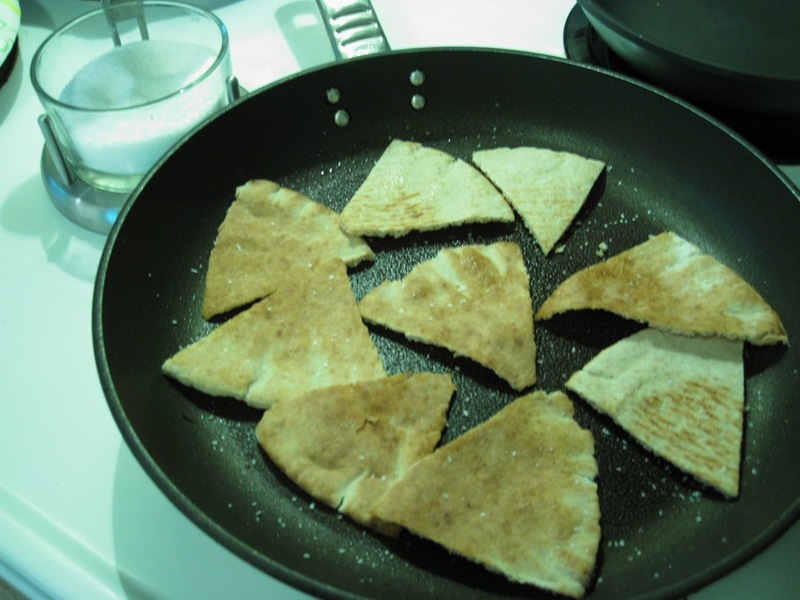 That’s all there is to making your own Pita chips for your next party or taste test group! 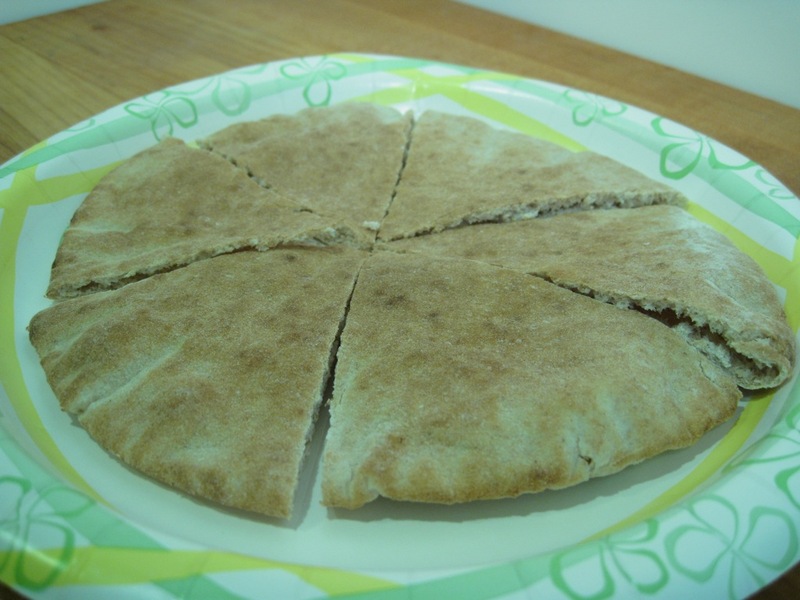 I like to begin toasting these with the rough inside of the pita loaf face down. That way, there are lots of “nooks and crannies” to get toasty (sorry, Thomas’). I only salt the tops of the wedges when they first enter the pan. We don’t want too much salt to color the sauce we are tasting. You can, if you wish, just omit the salt… then you know you are only tasting the salt content in the sauce, or dip, or whatever you are sampling. Plan on toasting enough of these wedges for your needs right off the bat. No one wants to be fooling with this process, when there’s food to be had! 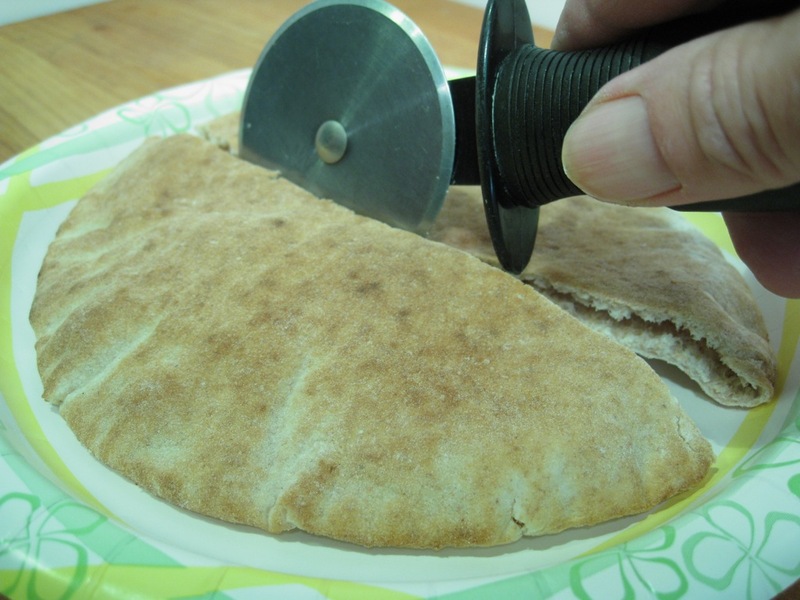 I hope you enjoyed this little tutorial on making your own Pita chips at home! Let me know if you try this recipe/tip by leaving a Comment below.